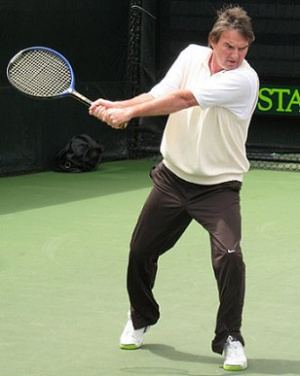 How about a match against aging Jimmy Connors? Good luck. Most of us are eagerly awaiting solid release dates for Wii Motion Plus and games that will use it, many of them sports games but are we really ready? Ok, think back now. When was the last time you went out and played a real tennis match and hit the ball where you wanted it to go after a few minutes of play? That’s what I thought. The upcoming add-on promises 1:1 accuracy will be added to the current Wii remotes, and some lament that it wasn’t included in the original remote design but Nintendo claimed it was too expensive and simply not ready in time for launch. But could anyone guess that maybe we needed this introduction before diving in? 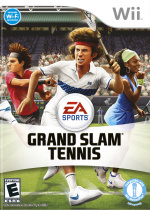 In a recent interview with techradar Thomas Singleton, producer of EA’s Grand Slam Tennis said they had to scale back its accuracy to keep the game playable due to the incredibly accurate “fidelity” of Motion Plus. "It truly is giving you that one-to-one control movement of your arm motion and then mapping it directly to that one-to-one movement of your character on screen… At times it's overly responsive. It had so much fidelity that at times we have limited that fidelity to make it a compelling experience"
After a hands on with the game, Tech Radars’ Adam Hartley said “Playing a tennis game with Wii MotionPlus after playing the same game without the new, improved controller is the equivalent of taking the stabilizers off of your first bike… It's like going from VHS straight to Blu-ray." This sounds like it could be a mixed blessing. Be careful what you ask for because this may finally separate the gamers from the sports fans… or maybe leave it up to a good old fashioned sword battle to decide. I dont care if its too responsive, just give me a lightsaber game already, its been 2 years! I can send a tennis ball wherever I want. Bring it on! wow that sounds awesome! I actually play tennis and racquetball quite a lot, so I would be really interested to see how a tennis game plays on the wii with this new motion plus thing. This is amusing, first the Wiimote isn't quite accurate enough and now Wii Motionplus is TOO accurate...perhaps they'll release some kind of intermediate peripheral? I'm glad it is going to work so well. We'll just have to practice instead of complaining that we can't win right away. Bahamut Zero GOTO FRICKIN SLEEP! I've heard one developer say that Wii Motion Plus is like adding in a real guitar to Guitar Hero. Yikes! Looks like the WiiMotionPlus will render all other console's tennis and golf efforts obsolete. Bring it on! One who commented in a previous posting on this news said about people complaints turning from under-responsiveness to over-responsiveness of the Baton. I agree with said comment. Damn, they'll have to bring back pong. It's a sequel to a game your grandparents used to play in there youth . Its was nerve racking enternaimt back then & now the New Pong is here . Its pong like it never was . NO!!! Now I will have to actually break a sweat when I play Wii Sports Resort!! I think sometimes Nintendo has a sense of humor. Nintendo:Is the Wii Remote not accurate enough for you? We''ll just make it too accurate! Yesterday, I used to play Tennis professionally, lol.